5&7 Tanner St as pictured from Tanner St park in 1957 prior to the building being purchased by George Hine & Sons. Photographer unknown. No's 3, 5 & 7 Tanner Street were built around 1838 (in a style possibly influenced by Telford who was working at St Catherine's Dock) as one building but used, until 1888, as three separate commercial premises. In 1888 the building was purchased by the Simmons Company, makers of perambulators, mail carts and stretchers. Simmons later purchased No.1 Tanner St and connected the four buildings together for different aspects of their production. No.1 Tanner St was used for painting and finishing and No.3 was the location of the forge where Simmons produced their patented carriage springs. Simmons failed to become involved in the war effort and their production methods were overtaken by other manufacturers, notably Silver Cross. By 1952 Simmons were selling No.1 Tanner St and the company finally closed its doors in 1959. George Hine & Sons purchased and refurbished No's 5 & 7, removing the arched heads to the loading bays and the infill detailing. No 3 remained, largely unchanged, in the Simmons family and was used in the production of military uniforms and then flags and banners till the mid-1980s. In 1986, No.3 was purchased by Niall Connolly & Belinda Magee who undertook the first English Heritage renovation in the area. Whilst the loading cranes and chimneys had been removed by 1960, the refurbishment of No.3 saw the reconstruction of the left hand chimney (to dimensions provided by this photograph) and the reinstatement of the warehouse crane. 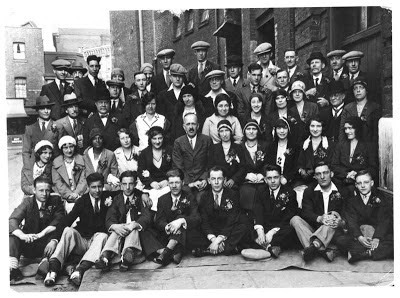 Simmons staff pictured outside No.1 Tanner St (1950s?). Photographer unknown. 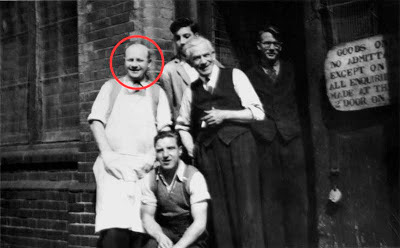 The man circled in this photograph was 'Bill' and his surname has escaped my records. When I started on the renovation of No.3 Tanner Street, a source of tools was Bickels who were leatherworkers located on Bermondsey St. In casual in conversation with the two elderly gentlemen who ran the Bickels trade counter, it transpired that Bill had worked for the Simmons Co and he had some photographs of the staff. Bill is circled in the photo above. Simmons staff photo before an outing. Photographer unknown. 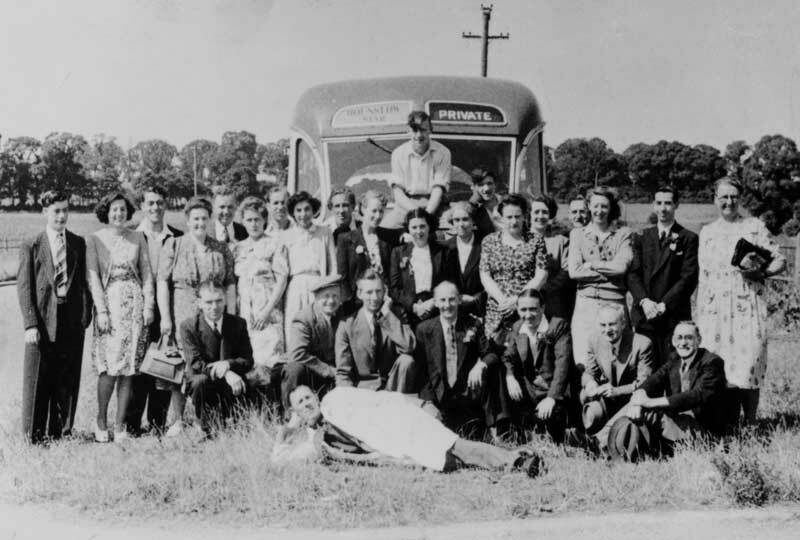 This is the staff outing pictured somewhere in the countryside. Photographer unknown. Again, it is difficult to date but I suspect that this photo was made in the later years of the Simmons Co as there are fewer staff in the photograph, possibly indicating the company's decline. What is of interest is the gentleman to the far right of the picture who seems to be wearing a dress. A group of women workers seated in an example of Simmons' product. Photographer unknown. 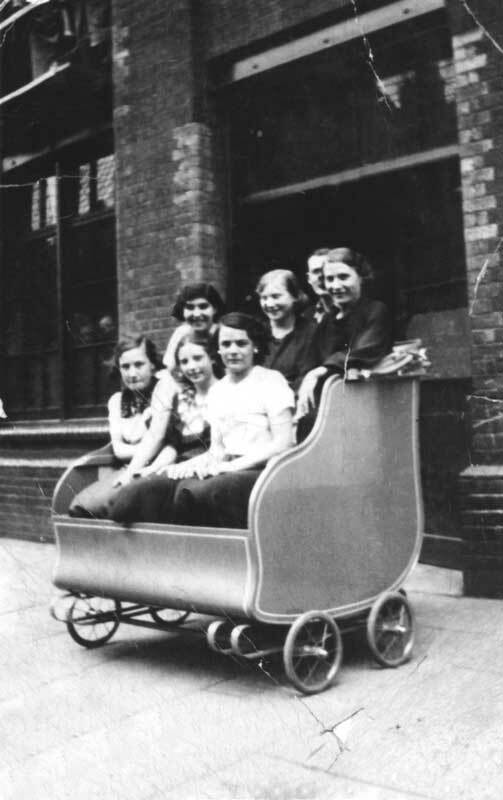 The Simmons Company was highly regarded in its day and Bill told me that the company had produced baby carriages for Prince Charles and Princess Anne although I have never seen confirmation of that claim. What was true was that in the late 1980s, before No.1 Tanner Street was redeveloped as offices, it was still possible to see the 'walkway' which was installed in the upper floors of that building. The baby carriages were pushed along this elevated walkway allowing the foreman to inspect the paintwork and the smooth running of the wheels and spring mechanisms. Hi, Bill was my grandfather and his surname was Cooper. It was nice to read the article you wrote. The giant pram from what I've been told was a one off, made for a parade in Blackpool. One of the women in the pram is also my great aunt. 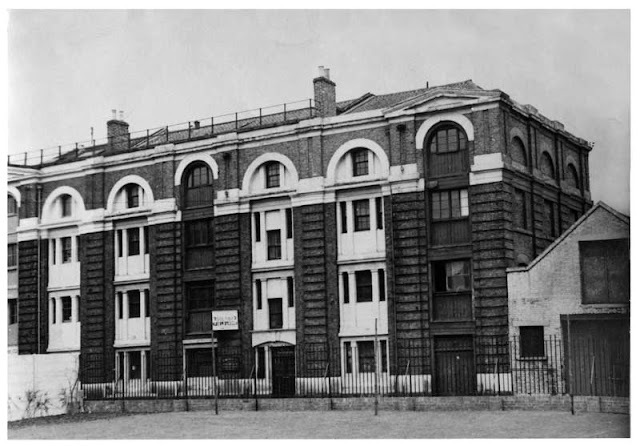 Hallo, my grandparent William Covington and Harriett Hough worked here and lived in Tanner street. thanks for the pics, so interesting to see. Where did your grandparents live? Was it in Tanner House or in Brunswick Court? Many thanks for the explanation. Right up until the late 1980s the 'walkway' (where the paintwork was checked for blemishes) was still in place at No.1 Tanner St. Bill was a great old guy and, back then, there was still a real connection between some of the older businesses and the people who lived and worked in the area. The regeneration of the mid and late 1990s swept much of that away but that is London's story. 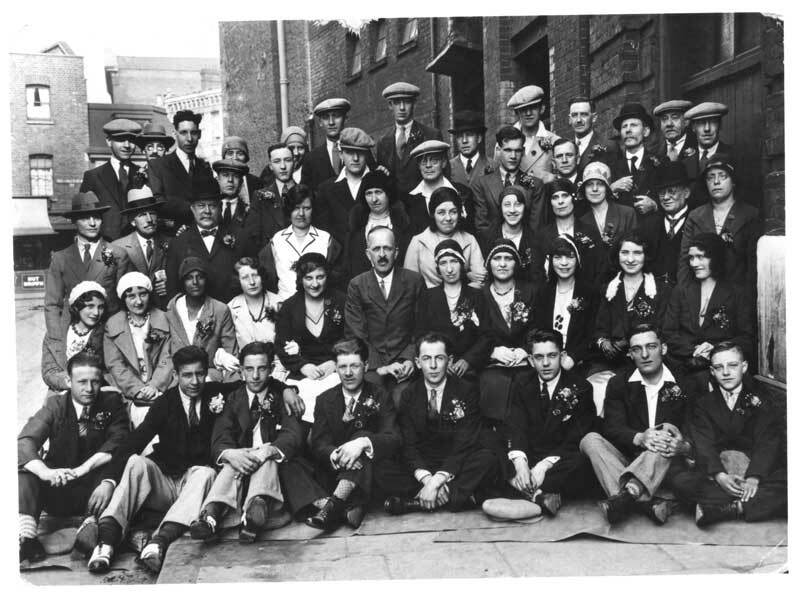 My great uncle William Alexander is the man standing next to Bill with the waistcoat and silver hair. He used to work at Simmons & Co with his brother and said that they had made the Queen's pram although it was sold to the royal family from a shop in Regent Street which I believe was called "Treasure Store." I have a photo somewhere that was taken inside the Simmons factory and looks like the manufacture of pram springs. My family were the Hatcher haulage business next door to Simmons at number 9.